I first came accross this recipe in the R.S.V.P. section of our beloved Bon Appetit – arguably my favorite part of the magazine. What does almost every good food lover do when they eat something delicious at a restaurant? They mull over what they think is in the dish, try it at home and then unfortunately, are most often thoroughly bummed when it tastes nothing like what the restaurant made (hint: you’re probably missing the layers of salt they throw in there…just sayin’). But the editors at BonApp launch an investigation into your favorite dish – and come up with results! So great right!? 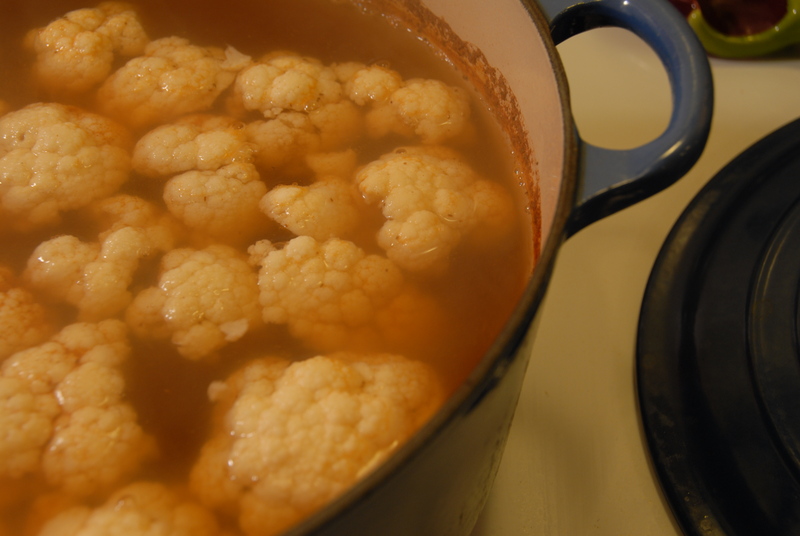 I’m so glad someone inquired about making this simple but amazing dish – a little trick with a head of cauliflower and a LOT of Old Bay and BAM you’ve got “shrimp” cocktail. Old Bay seasoning – oh lots! In a large pot of water add the smashed garlic, halved and squeezed lemons, 2 T + of Old Bay (conservatively), onions and a good amount of salt and pepper. Bring to a boil. Let boil for about 10 minutes. 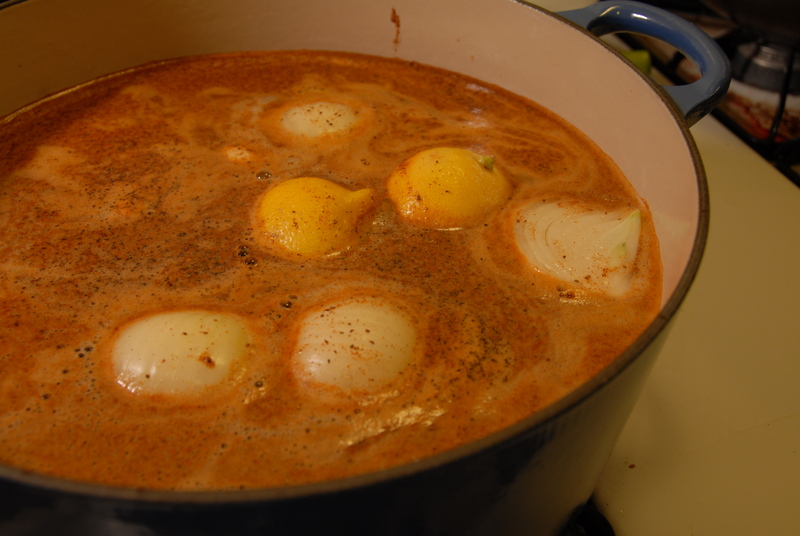 Lower heat to a simmer and remove the onions and lemons. 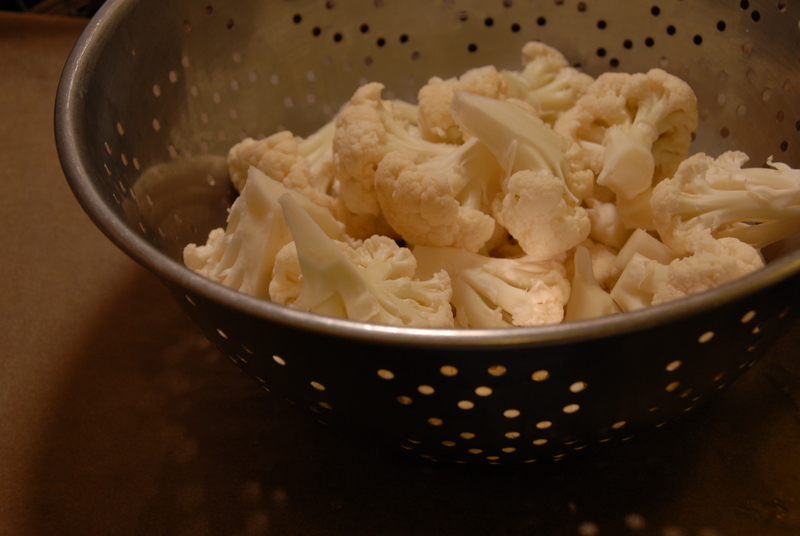 Place the cauliflower into the simmering seasoned water and cover with a lid. Simmer, covered for about 7-8 minutes until the cauliflower is soft but still has a bite to it. Remove and dry on a sheet pan and enjoy at room temperature – with plenty of lemon and cocktail sauce! Your taste buds won’t believe you’re not eating shrimp – even the texture is spot on! 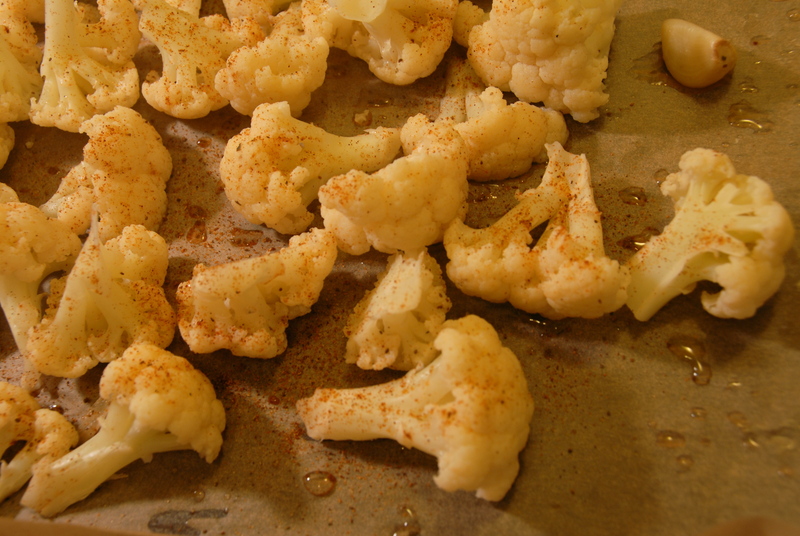 This entry was posted in Cauliflower and tagged appetizer, cauliflower, cocktail sauce, easy, garlic, lemon, Old Bay, onion. Bookmark the permalink.